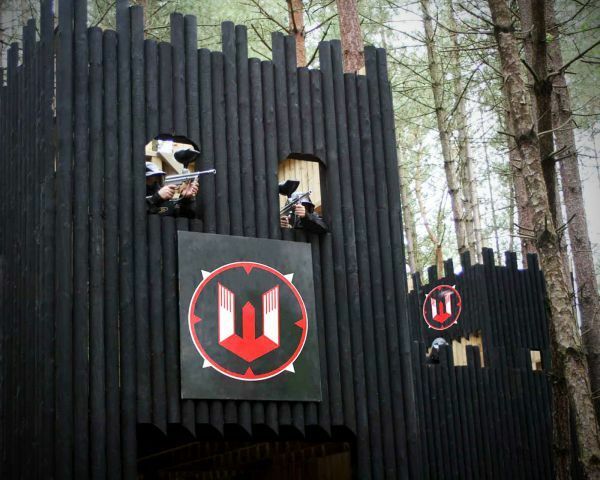 Delta Force Paintball Sussex – the ultimate family day out! Delta Force Paintball Sussex is conveniently located near the M23 motorway in Crawley, surrounded by the beautiful Sussex countryside. It’s the perfect setting for anyone looking for a fun outdoor activity with a stunning backdrop. Our paintball experience days in Sussex are also suitable for anyone over the age of 10; meaning it’s the ultimate family day out! The Crawley paintball centre includes six exciting paintball game zones with awesome film-like props, such as Command Post which features a large wooden fortress, Chemical Alley where players need to take over a heavily protected fuel depot, Castle Wallenberg featuring a two storey castle with sniper tower and The Haunted Graveyard with creepy tombstones and an old church where lots of ghosts and ghouls lurk! Each of the game scenarios at Delta Force Paintball Sussex will put your skills to the test; you’ll have to strategize, think on your feet, shoot with accuracy, dodge flying paintballs and work together as a team in order be victorious. Think you and your team are up to the challenge? The opposing team isn’t the only threat you’ll have to look out for at our Sussex paintball centre … The Delta Force Paintball Terminator is also known to lurk in the woodlands, looking for his next victim! If the rogue cyborg assassin wants to challenge you to a gunfight, he’ll look directly at you and point his awesome BT4 semi-automatic paintball machine guns in your direction. Then it’s your decision whether you want to accept his challenge. If you don’t, you’ll just need to ignore him and hope that he finds another opponent…But, if you do, you can open fire at him and take him on one-to-one! Consequently, if you come out on top and the Delta Force Terminator deems you a worthy foe, he’ll give up one of his paintball markers for you to use for the remainder of the game. It’s the only way you’ll be able to get your hands on one of his deadly weapons, so make sure you keep your eyes peeled! For more information about Delta Force Paintball Sussex or to book your paintballing event with us, call 0203 869 9301and speak to a member of the team who will be happy to help you.